The Tikkum Olam Committee always welcomes new and returning members. 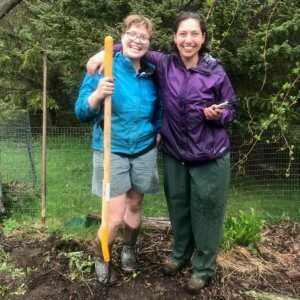 Our main goal of contributing to social justice locally and beyond is accomplished by creation of or participation in initiatives that help create a more just world. 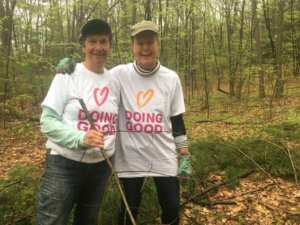 Reach out to co-chairs Judith Souweine (souweine@comcast.net) or Amy Rothenberg (amy@nesh.com). 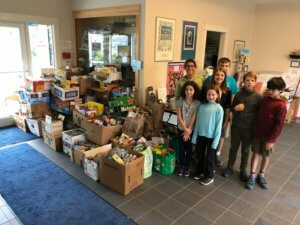 Food Drive – We collect food for the Amherst Survival Center throughout the year and especially at the High Holidays. In 2017-18 we collected more than 5,777 lbs. of food (the same number as the Hebrew year). Not Bread Alone -Volunteers from the JCA staff the Not Bread Alone lunch one Sunday a month at the First Congregational Church in Amherst.Contact Hollie Kalkstein (holliekalkstein@gmail.com) for more information on becoming a regular member of the cooking or cleaning shifts or becoming a sub. Craig’s Doors– During December and January we encourage JCA members to volunteer for the shelter at Craig’s Doors at the Baptist Church in Amherst. 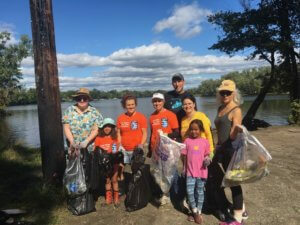 Source to Sea Cleanup – In September, a team from the JCA joins thousands of volunteers along the Connecticut River for the annual Source to Sea Cleanup of the Connecticut River Conservancy. Northampton Pride March – Each May, a JCA group joins the Pride March held in Northampton to celebrate GBLT rights. 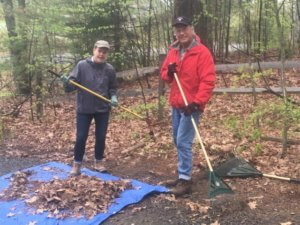 Mitzvah Day – Every year in May, the entire JCA community joins with the JCA School for a morning of mitzvot, both in our building (cleaning up the synagogue or preparing the garden), and out in the community (singing at a nursing home, cleaning up the trails at the Mt. 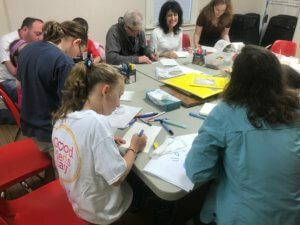 Warner, Trustees of Reservation property in Hadley,) as well as for the community by preparing food for families who have a sick member or a new baby, making challot for Shabbat, making greeting cards for community members who have experienced a loss, cleaning up the JCA cemetery. Red Cross Blood Drives – Twice a year, the Tikkun Olam Committee sponsors and staffs a blood drive in the JCA Social Hall. Human Rights Shabbat – The JCA joins with other congregations across the nation to celebrate Human Rights Shabbat, usually in early December. We invite a speaker to give a D’var Torah on a human rights issue and invite congregants to join in an action. 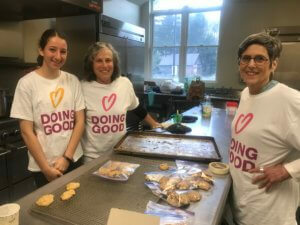 Tzedakah – The Tikkun Olam Committee is charged with the responsibility of donating the budgeted tzedakah funds as well as donations from the community. We strive to find organizations that are consistent with our values in our own community as well as national and international organizations. Warm Socks and Coat Drive – November/December 2018 – Collected many coats and socks for the Survival Center. Immigration – Support of Local Sanctuary Movement – contact Karen Levine (klevine08@gmail.com) or Joan Epstein (joanepstein@aol.com) who coordinate JCA efforts in conjunction with other local organizations. 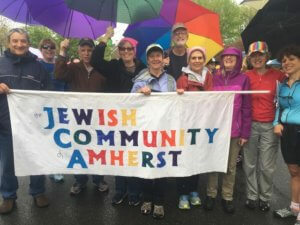 Ongoing events include: monthly Jericho walk, support for our neighbor Lucio Perez in sanctuary at First Church Amherst, including accompaniment shifts, rides for his family between Springfield and Amherst, providing meals and participation in monthly sanctuary potluck dinners, as well as attending rallies with the JCA banner, educational events and advocacy to promote immigrant justice. Jewish Family Service House Furnishing Drive for recent immigrant family who has relocated in Springfield from the Congo. In September 2018, the JCA community contributed goods and funds to provide furniture and household goods. In October 2018, we co-sponsored presentations by Libby Garland, Professor of History and author of After They Closed The Gates, Jewish Illegal Immigration 1921-1965. The talks were titled “Lessons from History, Connections for Today”. The goal of the talks was to deepen our understanding as Jews of this lesser known aspect of our own Jewish illegal immigration history, in order that these lessons from history may cultivate a more robust, visible Jewish response to issues of immigrant and refugee injustice today, locally and beyond. On December 15, 2018 we invited the Leverett group, Hands Across the Hills – Bridging the Divide, to spend Shabbat with us. Tom Wolff presented a D’var Torah on the dialogue between the Leverett community and a community in Eastern Kentucky. Members of the group led a discussion after services with the community. Energy audits for members – In the fall and winter of 2018, the committee joined the Harold Grinspoon Foundation initiative to encourage members to sign up for energy audits of their homes thru Mass-Save. To bring ideas or initiatives to the committee, please contact one of the co-chairs of the Tikkun Olam Committee. V’ger lo tilkhats (do not oppress the stranger) – responding to manifestations of racism, anti-Semitism, xenophobia, Islamaphobia, etc.